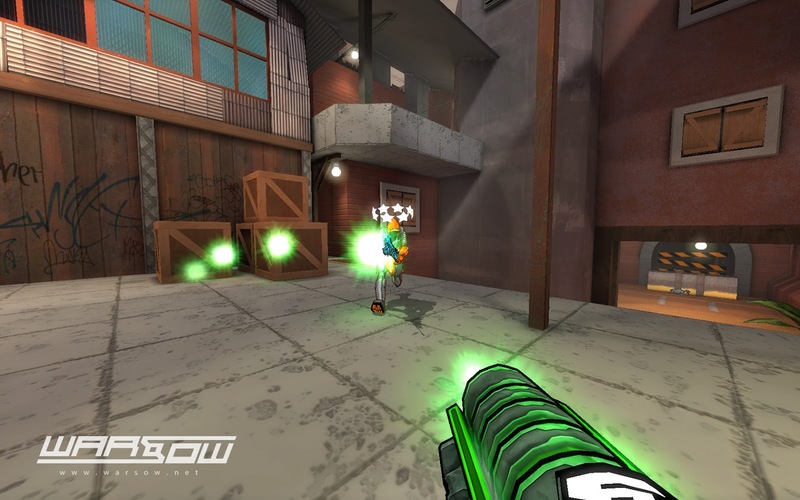 Warsow is a free and open-source first-person shooter (FPS) game for Windows, Linux and Mac OS X. The game is set in a futuristic world where rocket launcher wielding pigs and laser gun carrying cyberpunks roam the streets. Warsow features beautiful cel-shaded graphics and cartoonish theme. You have to jump, dash, dodge, and wall jump your way through the game. Grab power-ups before your enemy does, plant a bomb before anyone sees you, and steal the enemy’s flag before they know what is going on. Warsow was first released in 2005 and after being in development for seven years, version 1.0 has been released. Full changelog can be found here.